Good Morning friends! 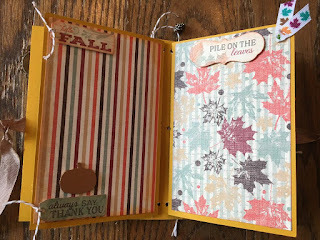 Daniela here with a super fun project for your Fall festivities! This is the perfect hostess gift for a loved one. 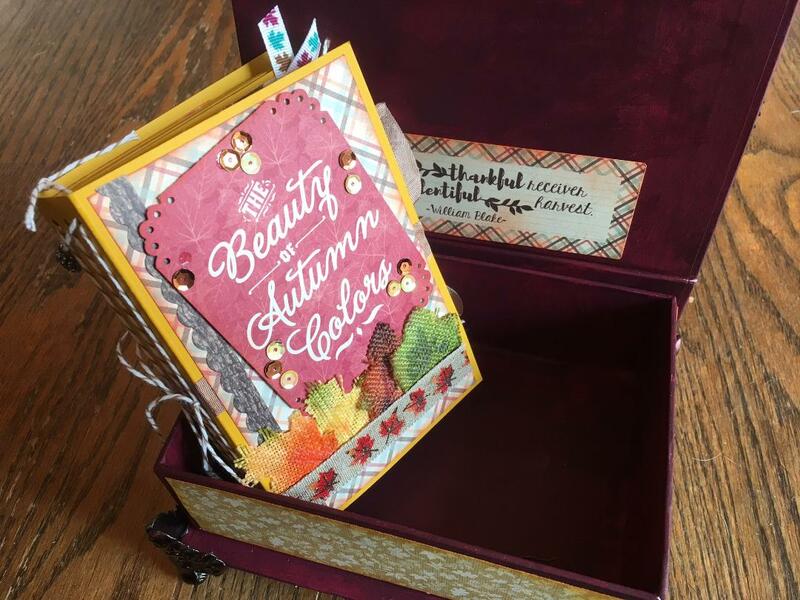 Its a beautiful altered box with a mini album inside. 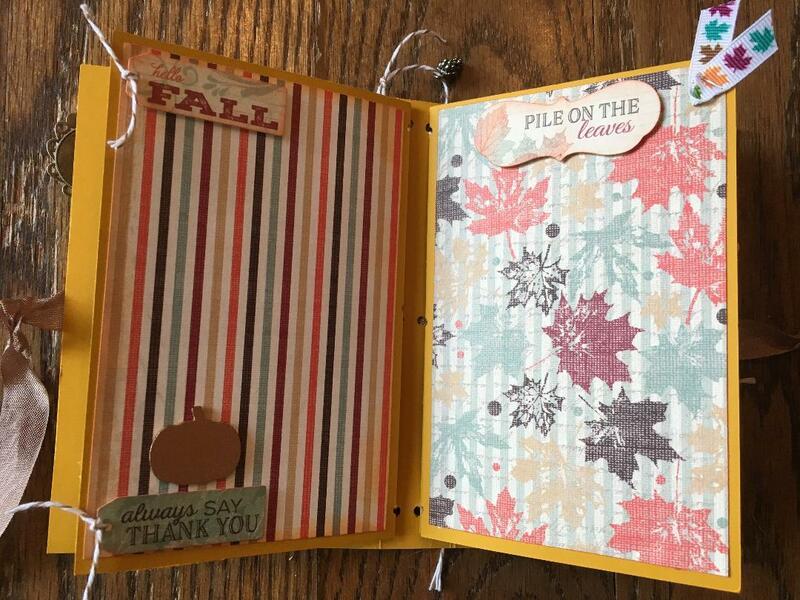 Using the Bountiful paper makes it so easy to make something for those you love and are grateful for. For the cover, I've used different elements from Petaloo Flowers. They make the darling pincone and burlap leaves. 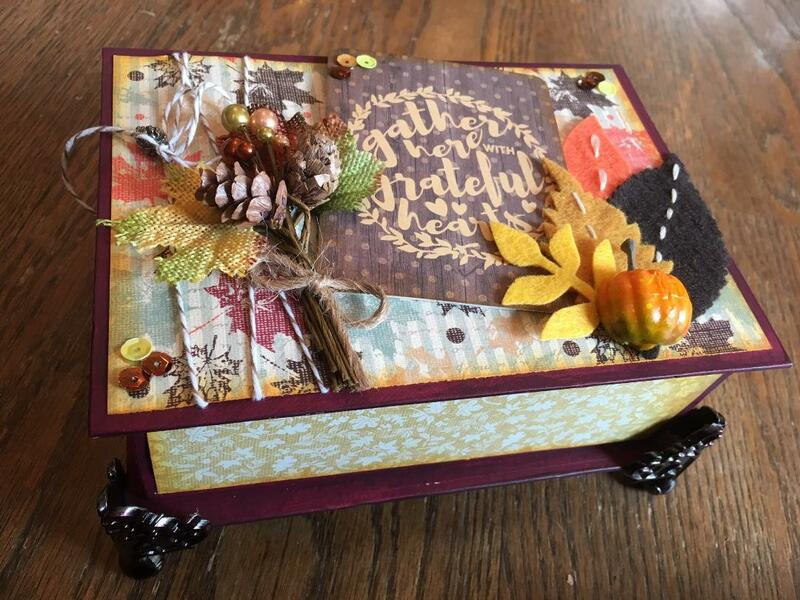 Tim Holtz Ideology line provides the darling mini pumpkin to decorate the front of the box. Using the cutout from the Bountiful sheet along with the beautiful papers, finishes off this beautiful cover. 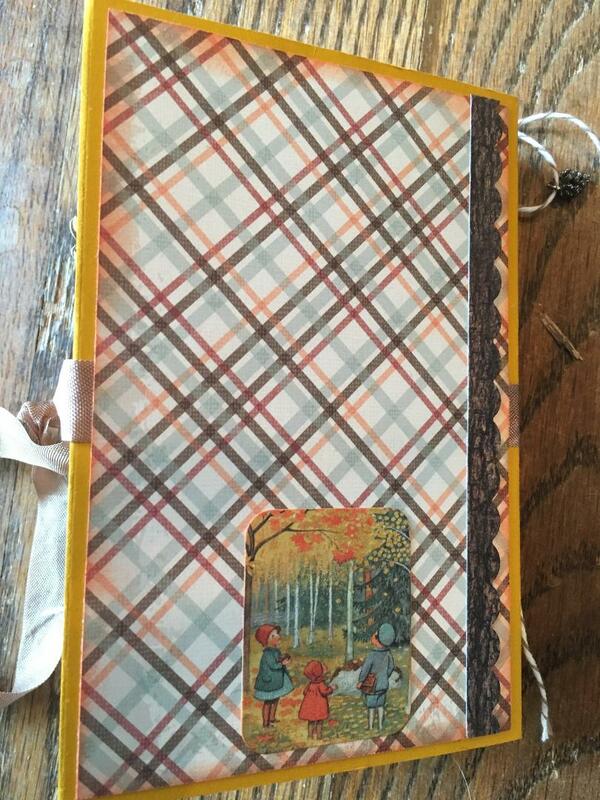 The box itself is by Graphic 45, and was originally white. I painted it with the Dylusions paint, which is super pigmented and covers like a dream. Inside this darling box, is a mini album I just put together using cardstock and the Bountiful papers. 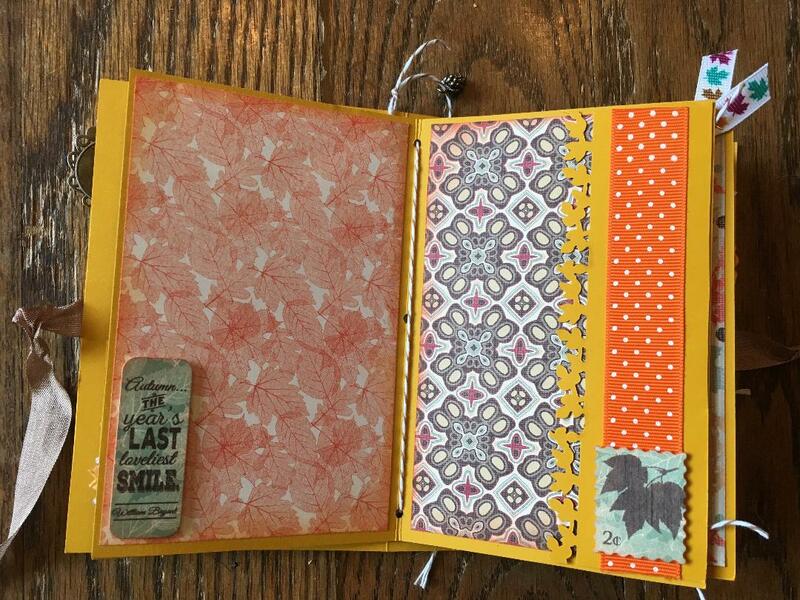 To give your papers more interest, use a pattern corner punch on the cutout cards! It looks so cute! I had these beautiful vintage paper clips with a cabachon. 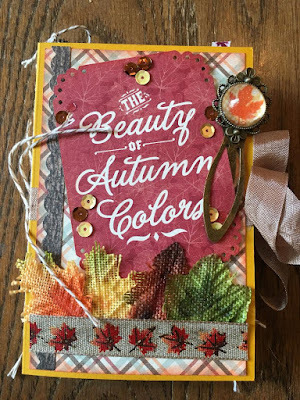 I used glossy accents to make the clip using a piece of the Bountiful paper with a leaf on it. It turned out so cute! The mini album has pockets and such for memorabilia or the darling cutout cards from the line. It makes it so easy to decorate when you have a super cute fall sweater! 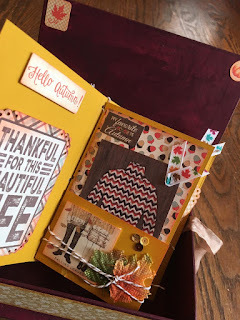 The inside of this mini has lots of places for photos and journaling. The stickers jut make every page pop on this project. I just used twine to bind this book together. 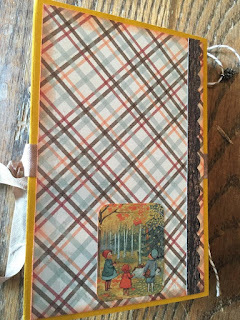 I love ribbon, so lots of my pages have ribbon to accent this beautiful paper. This was a super fun project to make. I am going to give this to my sister in law at Thanksgiving and take lots of pics at dinner to include in this mini. Be grateful for all the blessings in your life. I am so blessed to be a part of this Authentique team and so Grateful for their support and beautiful papers. Have a great November and be Bountiful! Amazing and just right for putting me in the Fall mood!